We just purchased our Ford F-150 from Ron Archer at Baxter Ford West Dodge. Ron listened to our wants and needs in a vehicle and delivered! He went above and beyond by going to their South location and bringing back a truck with all the options we were wanting. Thank you to Donnie Rosenthal for providing the great pricing and finding my misplaced iPhone. Brett Kukoly and Alan Winterstein in Aftermarket did an outstanding job helping us choose some extras. Andrew Fauss in Finance was a joy to work with. He was extremely helpful and very thorough wrapping everything up for all the paperwork. The entire staff made us feel special from the moment we walked through the front doors. The process was definitely bearable. They’ve earned our respect and business and we will be recommending Ron and Baxter to our friends and family. Kudos for a great job and a wonderful team! Great service, willing to work with me and offered a loaner truck while mine was being repaired. JoJo is fantastic in the maintenance department and they've gained all our business for vehicle repairs going forward! 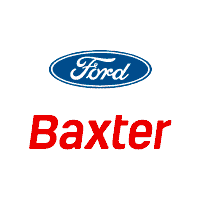 Baxter Ford took care of me when purchasing a Ford Explorer and the service and oil changes. Everyone from the staff was friendly and helpful. Tim Kennedy, Matt Rawley, and Sydney Burke were all very helpful. Would highly recommend this place to anyone! I went to Baxter Ford West Dodge on 4/3/19 with the intention of only test driving vehicles to get a better idea of what I wanted. Since I am a woman, I was worried that I couldn't get the best deal car shopping by myself. Ambrose, Matt Philips and Jordan proved me wrong!!! Each gentleman contributed significantly to my overall shopping experience that I didn't need convincing to buy! I am absolutely thrilled with the customer service and value I received. I do my research and I am convinced I could not have had a better experience any where else! Friends and family are in disbelief when I tell them about the service I received! They are all saying they want me to go with them when they buy their next car, but I know that it was Ambrose, Matt Philips and Jordan who made the difference that day! They worked with me every step of the way. They listened to what my goals were with purchasing a new car and they delivered on every point! I never felt any pressure to buy! Thank you!!! Ambrose was awesome. Finance phase pushes warranty plans, very hard sell.I would have given 5 stars if not for the finance process.